Paris, FRANCE, 4 September 2017 – Cambium Networks, the leading provider of wireless broadband networking solutions, today announced it has appointed a new Regional Sales Director for France and Morocco as it looks to further expand its Connecting the Unconnected strategy. 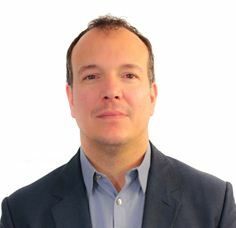 Fabien Garcia brings more than 15 years of experience in the wireless, telephony, and security industries to Cambium Networks, as well as expertise in partner development and management. He will use these skills as Cambium Networks looks to rapidly grow its reseller, system integrator, and distribution networks across the French and Moroccan territories. This will be achieved through the selection of high-quality partners which can represent Cambium Networks’ industry-leading portfolio of products in indoor and outdoor Wi-Fi, Point-to-Point wireless backhaul, Point-to-Multipoint wireless distribution, and Industrial Internet of Things (IIoT) wireless connectivity. The arrival of Garcia will enable Yassine Bouchlaghem, who previously managed Cambium’s activities in France and Morocco, to focus on the growing Cambium Networks business across North Africa and portions of West Africa. Garcia joins the Cambium Networks team as it launches its improved enterprise WLAN portfolio: cnPilot, the indoor and outdoor Wi-Fi connectivity solution. A narrow-band portfolio for the IIoT has also been introduced, including specific applications in Supervisory Control and Data Acquisition (SCADA) for the water, oil and gas, and utility markets. Cambium Networks is a leading global provider of trusted wireless solutions that connect the unconnected – People, Places and Things. Through its extensive portfolio of reliable, scalable and secure wireless narrowband and broadband platforms, Cambium Networks makes it possible for all service providers and industrial, enterprise and government network operators to build affordable, reliable, high-performance connectivity. The company currently has over six million radios deployed in thousands of demanding networks in more than 150 countries. Headquartered outside Chicago and with R&D centers in the U.S., U.K. and India, Cambium Networks sells through a range of trusted global distributors. For more information, visit http://www.cambiumnetworks.com/.